When President Jacob Zuma fired Nhlanhla Nene as finance minister in December; he claimed he was acting with great haste because he needed "an experienced person" at the Brics bank where Nene would head the Africa Regional Centre. Two months later, Nene has told the Financial Mail that he is yet to receive an offer despite President Jacob Zuma indicating otherwise. 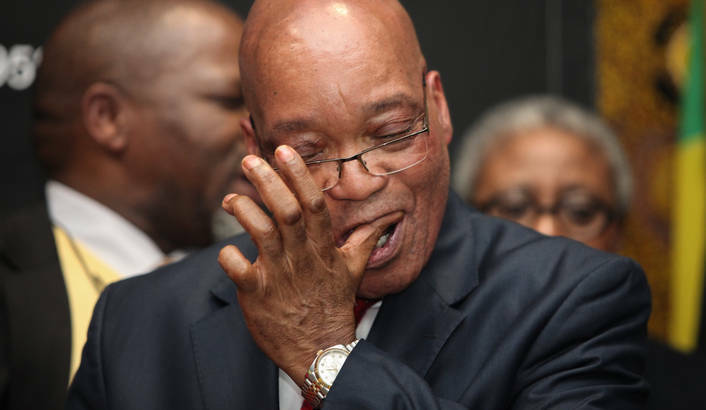 When Zuma unceremoniously cut Nene from the cabinet in December, he said it was because he needed to rope the able and respected finance minister into the New Development Bank, as the institution is now called. In a statement issued from Zuma’s office a couple of days after he axed Nene, when the president was forced to explain his reckless move in an effort to contain the economic chaos that followed, he said it was because the SA government had identified Nene as the preferred candidate to head the Africa Regional Centre, one of the bank’s priority units. “We are fully backing his [Nene’s] candidature, knowing full well that he will excel and make the nation proud in his next assignment,” the statement read. The president reiterated that same position last month when he appeared to present the move as a fait accomplish. “We took a decision that he [Nene] heads the Brics bank as it needs an experienced person,” Zuma told local TV channel eNews in early January. However, in a brief conversation with the Financial Mail this week, Nene said he was still in the dark about the job and had not had any communication with either Shanghai or Pretoria. “I still have not received a formal offer,” he said.